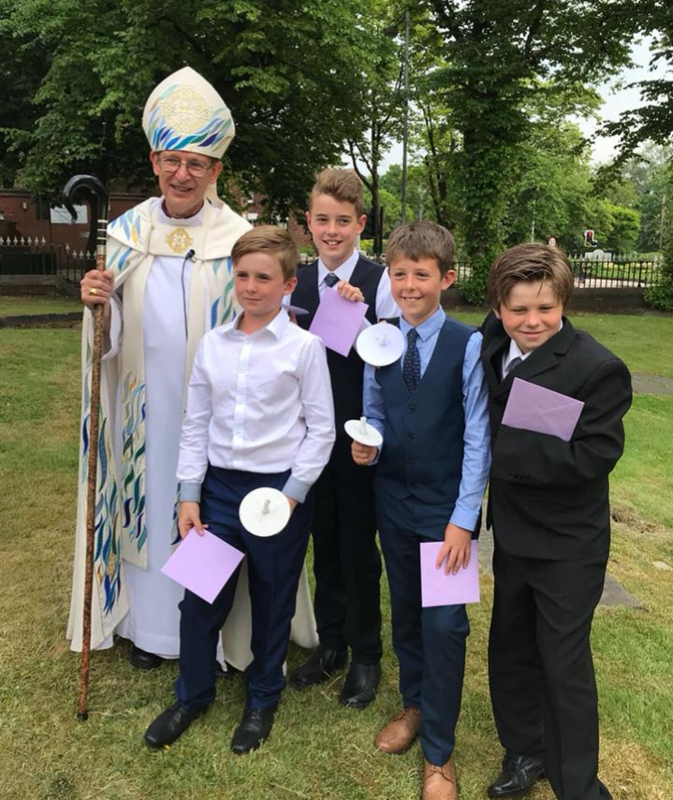 on their confirmation at St Bartholomew’s, on Sunday 10th June. It was a wonderfully joyful and moving occasion as our five young people, along with 21 others from the team, confirmed their faith in Jesus and made their first communion. The packed service was led by the Right Rev’d. Mark Ashcroft, Bishop of Bolton; who spoke of his own journey of faith, and encouraged us all to live in the light and peace of Christ. For your reign will be established from the smallest of all seeds. Christ our light and Christ our vision, Christ our purpose, Christ our way.